Ecologists know well that making a small change within an ecosystem has a rippling effect. Undoing what has always been done or making adjustments to what’s inside the ecosystem puts it in disarray… an unsettling situation for a world that demands order. It’s not a stretch then, to think about the UW System’s proposed restructuring effort to join together the UW two-year and four-year campuses as a change to the educational ecosystem in Wisconsin, overall and Northeast Wisconsin specifically. 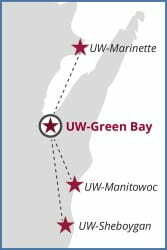 Beginning July 1 and contingent upon Higher Learning Commission approval, UW-Green Bay, UW-Marinette, UW-Manitowoc and UW-Sheboygan will come together as one university with one mission. The new UW-Green Bay will be a four-campus coastal university with an expansive 16-county footprint. According to Miller and the reorganization team, the footprint of the proposed UW-Green Bay includes nearly half of the Wisconsin coastline on the world’s largest freshwater ecosystem and some of the most pristine and desirable natural areas and tourist spots in the country. The regional ecosystem also includes a large and growing manufacturing sector, a significant health care sector and a rich tapestry of business and nonprofit enterprises. All four campuses support vibrant art and music programs and serve as a hub of community activity. Manitowoc resident and UW-Green Bay Executive Director of Continuing Education and Community Engagement, Joy Ruzek, said she has heard very positive comments throughout the community about the restructuring. Miller acknowledges that the new ecosystem will take time and an extraordinary amount of creativity and teamwork to materialize. Currently, dozens of individuals from all four campuses are working toward a smooth transition and have been meeting regularly with local business and community leaders, County Boards and educators seeking ideas and input. 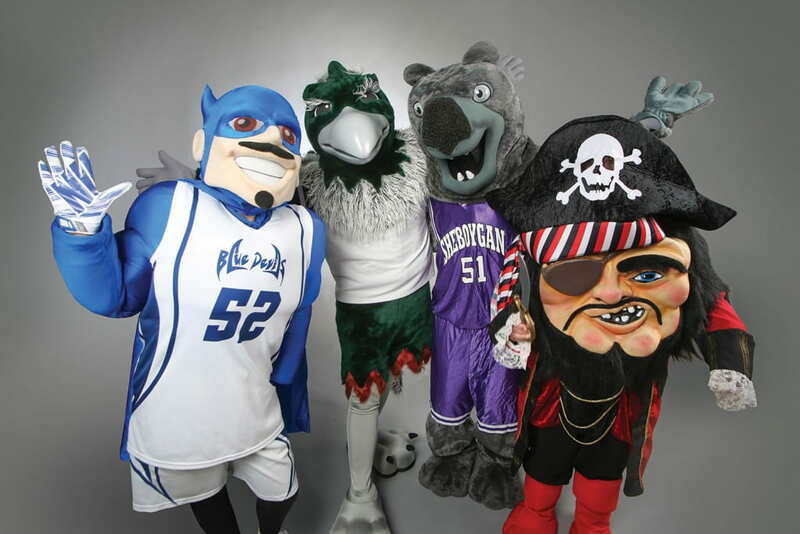 Left to Right: UW-Manitowoc’s Blue Devil, UW-Green Bay’s Phoenix, UW-Sheboygan’s Wombat and UW-Marinette’s Buccaneer demonstrate that we are all in this together. Should the proposed restructuring be approved by the Higher Learning Commission, each of the institutions in this new 16-county, four-college coastal community have agreed to work (and play) together to transform the higher education landscape into one that is richer, more robust and more vibrant. While the college campuses’ names would change, pending approval, each of the institutions would retain their individual athletic mascots. This entry was posted in News and tagged Project Coastal on July 2, 2018 by Kimberly Vlies.